Beautiful scenery & spectacular views! Quite simply Oléron is beautiful. That is why people go there. That is why you should go. A major highlight for me was the day when we hired some bikes and took a ride along the coastline for a few hours starting off by St Trojan Les Bains harbour (pictured above with the tide out.) All of my best pictures from the island were taken during that jaunt out on the bikes and I can see why local French people love to frequent the island so much. It must be nice to have such natural beauty on your door step to visit any time the sun is out. Tip; If you’re looking to hire some bikes for a similar jaunt in Ile d’Oléron there’s a bike hire shop in St Trojan Les Bains called Cycles Demion which is close to a number of popular cycling routes on the island. Even more charming were the colourful little huts, buildings, and boats down by the harbour (seen above). The villages of this island are particularly endearing as a result. If you enjoy taking photographs on your holidays then this is an island perfect for that. The colourful buildings certainly give the island something a little different to add to the general look, feel, and atmosphere. What was really lovely about Oléron was that it was somewhere frequented by a lot of French people. Unlike many other popular travel destinations in France, Oléron really felt like you were getting more of an authentic French experience. It was quite easy to find and meet local French people. Places like Paris and Nice are of course cool, but in my personal opinion they’re not really representative of how most French people live and you can tell that when you visit there. 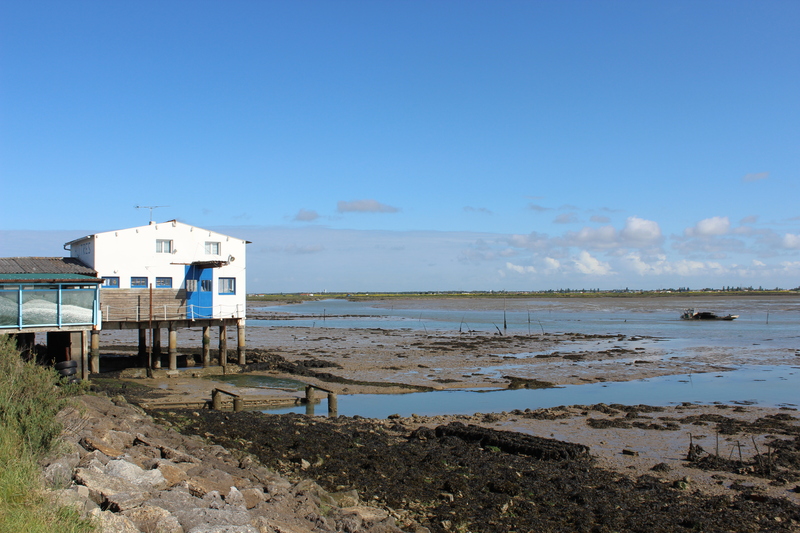 Oléron is popular retreat for local French people to visit during weekends, bank holidays, and time off work. You get that combination between holiday destination and local retreat which allows you to have the best of both world’s when it comes to visiting a destination with lots to do on your travels, but that still allows you an insight into the local way of life. If you time your visit during a typical working week for French people you’ll also find the island free of crowds if you’re after that quiet retreat feel to your trip. 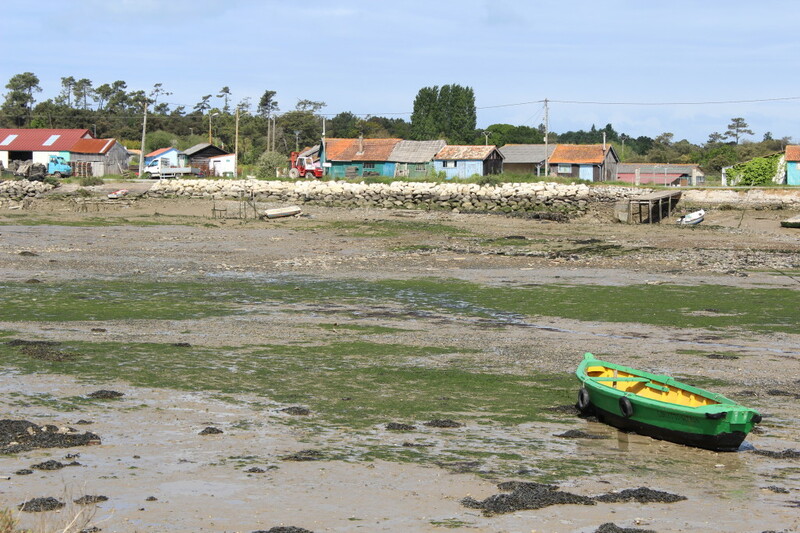 As a general rule of thumb Oléron is a bit cheaper than the likes of Paris or other places in France more popular/well-known with international tourists. Or rather you felt like you were getting much more value for your money on the island. In particular, we stayed at a really nice hotel (Le Square Hotel) that was only listed as 2 star but was in actual fact very nice. It even had a pool – not something you’d usually associate with a 2 star hotel. The bathrooms were also really big, nice big comfy beds, spotlessly clean, and despite being very central in the village you didn’t hear any noise whatsoever in the hotel. We were actually remarking the following day during check-out how quiet and relaxing it was. For 2 people in a double room during peak summer season it also only costs around €75 total (€37.50 each) which makes it really good value and is one of the reasons I wanted to mention the hotel specifically in this post (as being my favourite that I stayed at throughout the entire 5 nights I was in the region). Being an island Oléron inevitably has an abundance of sea food restaurants. 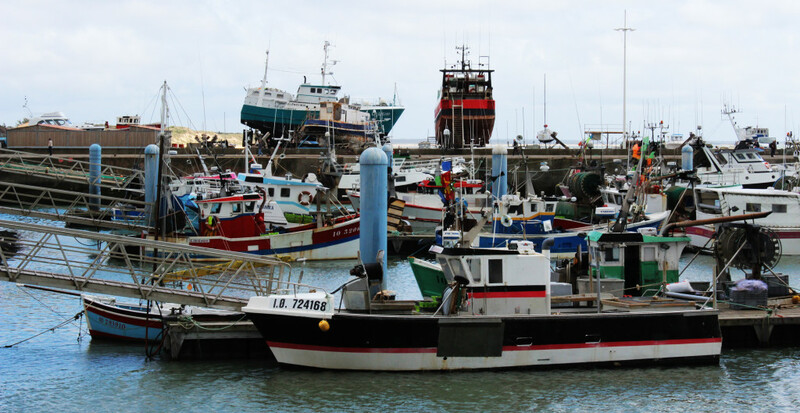 In particular, I recommend stopping by Les Poissons Rouges beside St Trojan Les Bains harbour. The main reason being of course that the food was really tasty, but I also just loved the cosy and rustic environment that they had going on. The place just had a really nice vibe. 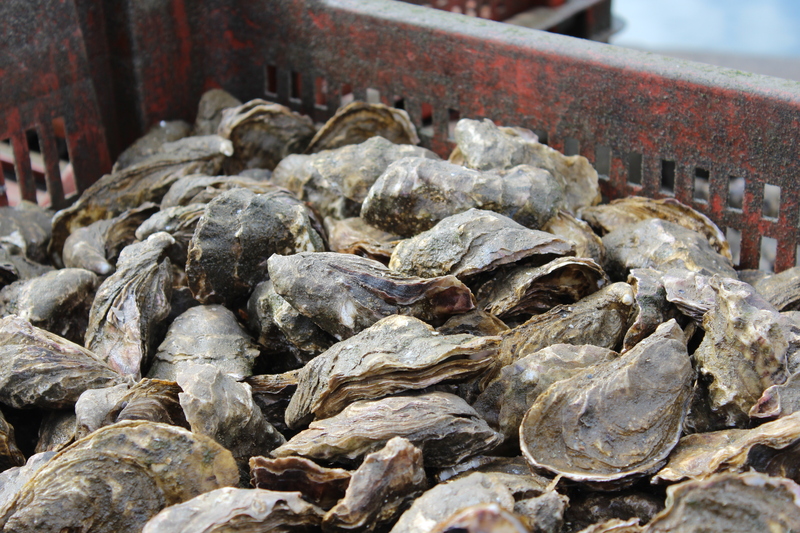 Oléron also happens to be home to many top class Oyster farms. If you’re someone who loves Oysters then I recommend indulging on them while you’re on the island. Oysters in general are not my personal ‘cup of tea’ but the regular Oyster eaters among our group were really raving about them so I’m taking that as a good sign! All in all I had a really good time on the island. If you’re the kind of person (like me) who likes getting out and about in areas of natural beauty, taking photographs, and getting a bit off the beaten track then you’ll really love this place too. It would suit the kind of person looking for somewhere quiet, relaxing, and who enjoys visiting areas of natural beauty. Beautiful pictures. It looks like a beautiful island. I’ve been to Oleron before and must agree that the island is very beautiful. I would like the add the Lighthouse as a place for pretty views of the island. Never heard of it and I lived in France for 3 years! Thanks for this post, it seems lovely.